On December 19, 2017, the U.S. Food and Drug Administration approved Luxturna (voretigene neparvovec-rzyl), a new gene therapy, to treat children and adult patients with an inherited form of vision loss that may result in blindness. Luxturna is the first directly administered gene therapy approved in the U.S. that targets a disease caused by mutations in a specific gene. “Today’s approval marks another first in the field of gene therapy — both in how the therapy works and in expanding the use of gene therapy beyond the treatment of cancer to the treatment of vision loss — and this milestone reinforces the potential of this breakthrough approach in treating a wide-range of challenging diseases. The culmination of decades of research has resulted in three gene therapy approvals this year for patients with serious and rare diseases. I believe gene therapy will become a mainstay in treating, and maybe curing, many of our most devastating and intractable illnesses,” said FDA Commissioner Scott Gottlieb, MD. “We’re at a turning point when it comes to this novel form of therapy and at the FDA, we’re focused on establishing the right policy framework to capitalize on this scientific opening. Heart disease and fatty clogs in the arteries go hand in hand. But new evidence suggests the fatty molecules might come not only from what you eat, but from the bacteria in your mouth, report University of Connecticut (UConn) scientists in the August 2017 issue of the Journal of Lipid Research. The research may explain why gum disease is associated with heart trouble. The article is titled “Deposition and Hydrolysis of Serine Dipeptide Lipids of Bacteroidetes Bacteria in Human Arteries: Relationship to Atherosclerosis.” Heart attacks and strokes are the crises we notice, but they result from a slow process of atherosclerosis, the hardening and clogging of the arteries with fatty substances called lipids. Immune cells stick to the walls of blood vessels, scavenge lipids, and multiply. The blood vessel walls inflame and thicken as the smooth muscle cells lining them change, swelling and dividing to create plaques, clogs, and warty growths called atheromas. For a very long time, doctors and researchers assumed that the lipids came from eating fatty, cholesterol-rich food. But the research hasn’t borne this out; some people who eat large amounts of the foods we thought were the sources of the fat, such as eggs, butter, fatty fish, and meat, don’t necessarily develop heart disease. UConn researchers believe they may have solved part of the puzzle. Using careful chemical analysis of atheromas collected from patients by a colleague at Hartford Hospital, they found lipids with a chemical signature unlike those from animals at all. 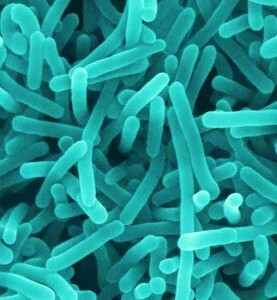 Instead, these strange lipids come from a specific family of bacteria. “I always call them greasy bugs because they make so much lipid. They are constantly shedding tiny blebs of lipids. Looks like bunches of grapes,” on a bacterial scale, says Dr.
Fertilization in flowering plants occurs by the delivery of sperm cells to the ovule by the precise growth of pollen tubes from pollen. Pollen tube guidance plays a crucial role in controlling the growth of pollen tubes and a pollen tube attractant peptide LURE is secreted from the synergid cells next to the egg cell within the ovule to lead to successful fertilization. LURE is specific to each plant species and is therefore responsible for the fertilization between the same species. LURE1 has already been identified in a model plant Arabidopsis thaliana, and there have been reports on the presence of receptors on the pollen tube responsible for detecting LURE1. The key and lock model illustrates the relationship between the LURE peptide (ligand) and its receptor. To which lock (receptor) the key (LURE) binds and how it does so has been a mystery up to now. In order to identify the exact receptor on the pollen tube for LURE, Dr. Tetsuya Higashiyama, a professor at Nagoya University and his collaborators at Tsinghua University who have expertise in structural biology of plant ligands and receptors, performed analyses of the complexes by X-ray crystallography. The team examined the protein that binds to LURE by making LURE of Arabidopsis thaliana and its protein receptor by cultures of insect cells. As a result, they were able to determine that LURE specifically binds to a protein receptor called PRK6 (pollen receptor-like kinase 6) on the pollen tube. The results of this study were published online on November 6, 2017 in Nature Communications. The open-access article is titled “Structural Basis for Receptor Recognition of Pollen Tube Attraction Peptides.” The research team succeeded in obtaining and analyzing the crystal structure of LURE bound to the PRK6 receptor. Exactly 200 years ago, the Swedish scientist Jöns Jacob Berzelius discovered the trace element selenium, which he named after the goddess of the moon, Selene. Besides its industrial applications (chemical industry, production of semiconductors and toners), selenium is an essential trace element and indispensable for humans, many animals, and some bacteria. A team led by Dr. Marcus Conrad, research group leader at the Institute of Developmental Genetics (IDG) at Helmholtz Zentrum München, showed for the first time why selenium is a limiting factor for mammals. The work was published online on December 28, 2017 in Cell. The article is titled “Selenium Utilization by GPX4 Is Required to Prevent Hydroperoxide-Induced Ferroptosis.” For years, scientists have been investigating the processes of a novel type of cell death, known as ferroptosis. In this context, the enzyme GPX4, which normally contains selenium in the form of the amino acid selenocysteine, plays an important role. “In order to better understand the role of GPX4 in this death process, we established and studied mouse models in which the enzyme was modified," said study leader Dr. Conrad. "In one of these models, we observed that mice with a replacement of selenium to sulfur in GPX4 did not survive for longer than three weeks due to neurological complications." In their search for the underlying reasons, the researchers identified a distinct subpopulation of specialized neurons in the brain, which were absent when selenium-containing GPX4 was lacking. "In further studies, we were able to show that these neurons were lost during postnatal development, when sulfur- instead of selenium-containing GPX4 was present," stated first author of the study, Irina Ingold. 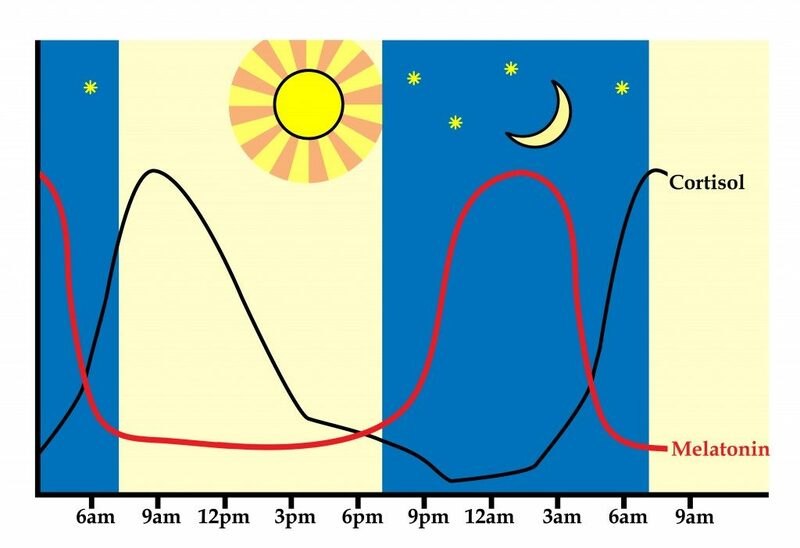 Tumor cells use the unfolded protein response to alter circadian rhythm, which contributes to more tumor growth, Hollings Cancer Center researchers at the Medical University of South Carolina (MUSC) have found. A key part of the circadian clock opposes this process, according to a paper published online on December 11, 2017 in Nature Cell Biology. The article is titled “A PERK–miR-211 Axis Suppresses Circadian Regulators and Protein Synthesis to Promote Cancer Cell Survival.” For tumors to grow and spread, cancer cells must make larger than normal amounts of nucleic acids and protein, so they can replicate themselves. Yet, in both normal and cancer cells that increase their synthesis of protein, a small percent of those proteins do not fold properly. When that happens, the cell activates its unfolded protein response (UPR), which slows down the making of new proteins while the misfolded proteins are refolded. Eventually, the buildup of misfolded proteins becomes toxic and leads to cell death. However, cancer cells have learned to use the UPR to slow protein synthesis when needed, in order to handle the backlog of misfolded proteins. This helps them survive in conditions that would kill normal cells. This pattern of adaptation is often seen in tumor cells, according to J. Alan Diehl, PhD, the SmartState Endowed Chair in Lipidomics, Pathobiology, and Therapy at the MUSC Hollings Cancer Center and senior researcher on the project. "What a tumor cell is doing is taking a pathway that's already in the cell and using it to its advantage," said Dr. Diehl. Yet it was not clear exactly how cancer cells were able to use UPR activity to influence circadian rhythm. Dr. In a study of medical records gathered on hundreds of thousands of African-American women, Johns Hopkins researchers say they have evidence that women with a common form of hair loss have an increased chance of developing uterine leiomyomas, or fibroids. In a report on the research, published in the December 27, 2017 issue of JAMA Dermatology, the researchers call on physicians who treat women with central centrifugal cicatricial alopecia (CCCA) to make patients aware that they may be at increased risk for fibroids and should be screened for the condition, particularly if they have symptoms such as heavy bleeding and pain. CCCA predominantly affects black women and is the most common form of permanent alopecia in this population. The excess scar tissue that forms as a result of this type of hair loss may also explain the higher risk for uterine fibroids, which are characterized by fibrous growths in the lining of the womb. Crystal Aguh, M.D., Assistant Professor of Dermatology at the Johns Hopkins University School of Medicine, says the scarring associated with CCCA is similar to the scarring associated with excess fibrous tissue elsewhere in the body, a situation that may explain why women with this type of hair loss are at a higher risk for fibroids. People of African descent, she notes, are more prone to develop other disorders of abnormal scarring, termed fibroproliferative disorders, such as keloids (a type of raised scar after trauma), scleroderma (an autoimmune disorder marked by thickening of the skin as well as internal organs), some types of lupus, and clogged arteries. 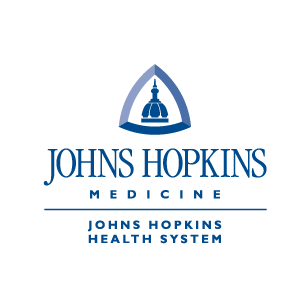 During a four-year period from 2013-2017, the researchers analyzed patient data from the Johns Hopkins electronic medical record system (Epic) of 487,104 black women ages 18 and over. The prevalence of those with fibroids was compared in patients with and without CCCA. Recent findings by researchers at Washington University in St. Louis may aid in the development of therapies to treat parasitic infections, including malaria, and may help plant scientists one day produce hardier crops. The research team's work was published in the December 29, 2017 issue of the Journal of Biological Chemistry. The article is titled “Conformational Changes in the Di-Domain Structure of Arabidopsis Phosphoethanolamine Methyltransferase Leads to Active-Site Formation.” The article is a JBC editors’ pick and is the subject of a JBC Highlights article titled “Covering Their Bases: The Phosphobase Methylation Pathway in Plants.” Choline is an essential nutrient that humans get from certain foods, including eggs, meat, leafy greens, and nuts. The human body converts choline into phosphocholine (pCho), which it in turn converts into (among other essential building blocks) phosphatidylcholine (PtdCho), a component of cell membranes. Plants, however, can't acquire the nutrient from the environment and so must synthesize pCho from scratch. The biochemical pathway plants use to synthesize pCho is also found in nematodes and the malaria parasite Plasmodium. In plants, the enzymatic reaction that produces pCho is essential for both normal function and for responding to stresses. Plant pCho is converted into PtdCho, which builds membranes that can adjust their rigidity in response to temperature changes. Plant pCho also gets converted into molecules that help the plant survive high salt. The enzymes that produce plant pCho are called called phosphoethanolamine methyltransferases (PMTs). Dr. Soon Goo Lee, a postdoctoral research fellow at Washington University in the laboratory of Dr. According to the Centers for Disease Control and Prevention (CDC), approximately 12,000 women in the United States are diagnosed with cervical cancer each year. One of the most common treatments for cervical cancer is radiation. While radiation therapy destroys cancer cells, it also destroys nearby healthy cells. University of Missouri (MU)School of Medicine researchers studied in vitro human cancer cells to show that combining blueberry extract with radiation can increase the treatment's effectiveness. "Radiation therapy uses high-energy X-rays and other particles such as gamma rays to destroy cancer cells," said Yujiang Fang, MD, PhD, a visiting professor at the MU School of Medicine and lead author of the study. "For some cancers, such as late-stage cervical cancer, radiation is a good treatment option. However, collateral damage to healthy cells always occurs. Based on previous research, we studied blueberry extract to verify it could be used as a radiosensitizer." The study, "Blueberry as a Potential Radiosensitizer for Treating Cervical Cancer," recently was published online on September 30, 2017 in Pathology & Oncology Research. Radiosensitizers are non-toxic chemicals that make cancer cells more responsive to radiation therapy. In a previous study, Dr. Fang and his research team showed that resveratrol, a compound in red grapes, could be used as a radiosensitizer for treating prostate cancer. Blueberries also contain resveratrol. "In addition to resveratrol, blueberries also contain flavonoids," said Dr. Fang, who also has appointments as an academic pathologist and Assistant Professor of Microbiology and Immunology at Des Moines University in Iowa. "Flavonoids are chemicals that may have antioxidant, anti-inflammatory, and antibacterial properties." Jumping genes could make an alga, and its coral host, more tolerant to warming sea temperatures. A particular gene is shown by researchers at the King Abdullah University of Science and Technology (KAUST) in Saudi Arabia to help the heat tolerance of an alga that lives symbiotically with coral, which could potentially help Red Sea corals adapt to some warming. Symbiodinium is a unicellular alga that provides its coral host with photosynthetic products in return for nutrients and shelter. However, high sea temperatures can cause the breakdown of this symbiotic relationship and lead to the widespread expulsion of Symbiodinium from host tissues, an event known as coral bleaching. 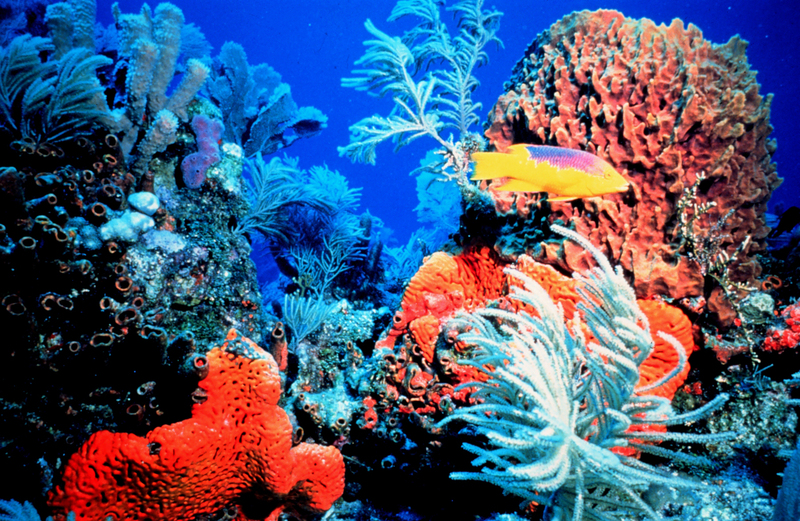 If bleached corals do not recover, they starve to death, leaving only their white, calcium-carbonate exoskeleton. Now, researchers from KAUST have identified special genes, called retrotransposons, which could help the algae adapt more rapidly to heat stress. The team, led by postdoc Jit Ern Chen and PhD student Guoxin Cui, conducted analyses to find out which genes were turned on or off when Symbiodinium was exposed to heat stress. Surprisingly, most genes commonly associated with heat stress were turned off, while a small number of retrotransposons were turned on. Retrotransposons are small genetic sequences that have the ability to replicate and position themselves in new locations in their host's genome. 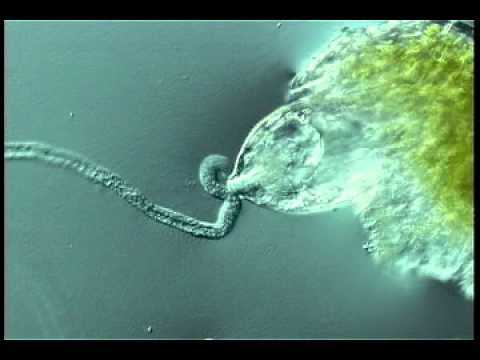 "The ability of retrotransposons to copy themselves and integrate these new copies into the host genome makes them genetic parasites," says geneticist and principal investigator, Dr. Manuel Aranda. "Every integration event is basically a new mutation in the host genome. Very often these new copies disable or disrupt host genes. However, sometimes they can also change how certain genes behave. Being able to identify microbes in real time aboard the International Space Station, without having to send them back to Earth for identification first, would be revolutionary for the world of microbiology and space exploration. The Genes in Space-3 team turned that possibility into a reality this year, when it completed the first-ever sample-to-sequence process entirely aboard the space station. The ability to identify microbes in space could aid in the ability to diagnose and treat astronaut ailments in real time, as well as assisting in the identification of DNA-based life on other planets. It could also benefit other experiments aboard the orbiting laboratory. Identifying microbes involves isolating the DNA of samples, and then amplifying that DNA that can then be sequenced, or identified. The investigation was broken into two parts: the collection of the microbial samples and amplification by polymerase chain reaction (PCR), then sequencing and identification of the microbes. 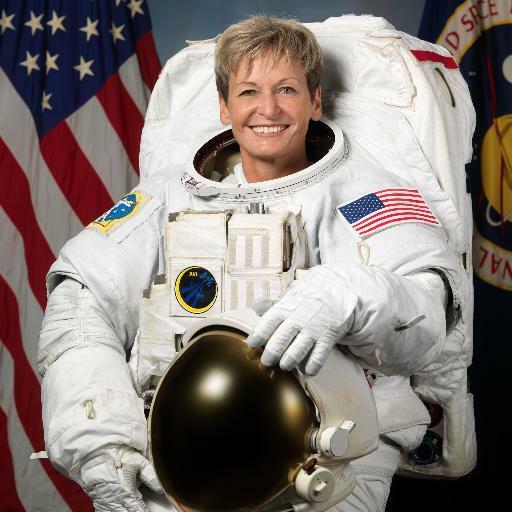 NASA astronaut Peggy Whitson (photo), PhD, conducted the experiment aboard the orbiting laboratory, with NASA microbiologist and the project's Principal Investigator Dr. Sarah Wallace and her team watching and guiding her from Houston. As part of regular microbial monitoring, petri plates were touched to various surfaces of the space station. Working within the Microgravity Science Glovebox (MSG) about a week later, Whitson transferred cells from growing bacterial colonies on those plates into miniature test tubes, something that had never been done before in space. Once the cells were successfully collected, it was time to isolate the DNA and prepare it for sequencing, enabling the identification of the unknown organisms - another first for space microbiology.